At the height of the recession, Scott Lennon's business was doing well, but in today's recovery, it's struggling. The Lynbrook, N.Y.-based entrepreneur owns Payback Repo Incorporated, a car repossession company. "People say, 'Oh you guys must be doing amazing!'" Lennon said. "It's the total opposite." 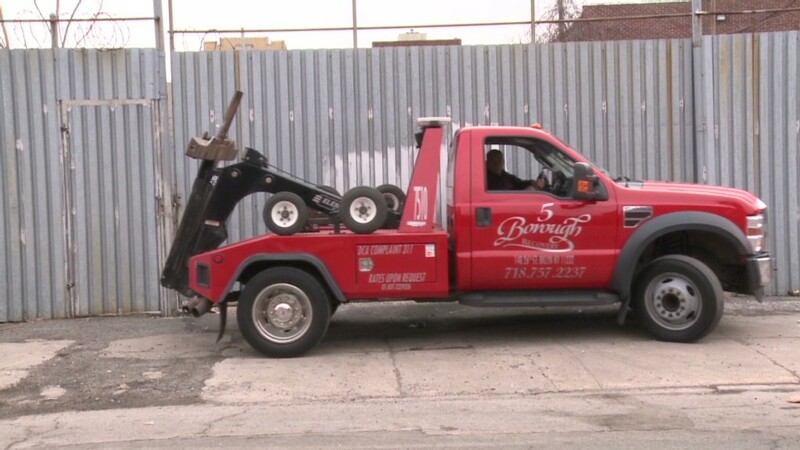 Repossession specialists, better known as "repo men," are suffering a nationwide decline in business. There were about 1.3 million auto repossessions in 2012, down from 1.9 million at the height of the recession in 2009, according to Tom Webb, chief economist for Manheim Auctions. Data from Experian Automotive shows a one-third drop in repossessions over the same time period. Seth Rose, owner of Express Results in Hicksville, N.Y., cut his fleet from seven tow trucks in 2011 to just two trucks today. "I decided to lower my overhead," Rose said. "All the expenses have continuously gone up, and our revenues have gone down." Three years ago, Rose said he was seizing 75 to 100 cars a week. Now, he's down to 25 to 35 a week. "Right after the big crash, everything was great," said Rose. "I had two lots that were jam-packed." He has since sold one of those lots. It's not just a matter of volume: repo men are also getting paid less. Payback Repo's Lennon said he currently makes about $300 per car, down from the $400 he averaged during the recession. "There's a pinch on our clients, and that causes banks to look for ways to cut costs too," Lennon said. "There's been a lot of causalities in the past two to three years. I had to have this mindset that I need to just survive these years, and half my competition would be gone." Rose is trying to offset his lost revenue with new ventures, like his Orus iPhone app, released last week. Repo agents need to file reports with the banks when they arrive at a residence and the car isn't there. Orus lets them file those dispatches immediately from the field. Meanwhile, Lennon's key survival tactic is creative cost-cutting. Instead of sending out gas-guzzling tow trucks to hunt down cars, he now uses fuel-efficient vehicles like the Toyota Prius. He equips them with cameras and license-plate recognition software. His repo agents only summon a tow truck after they've found their target -- saving time and money. "It's a challenging business," Lennon said, "but I tell myself, isn't everyone in the same boat?" Andrew Welsch is a multimedia journalist and master's student at the CUNY Graduate School of Journalism.